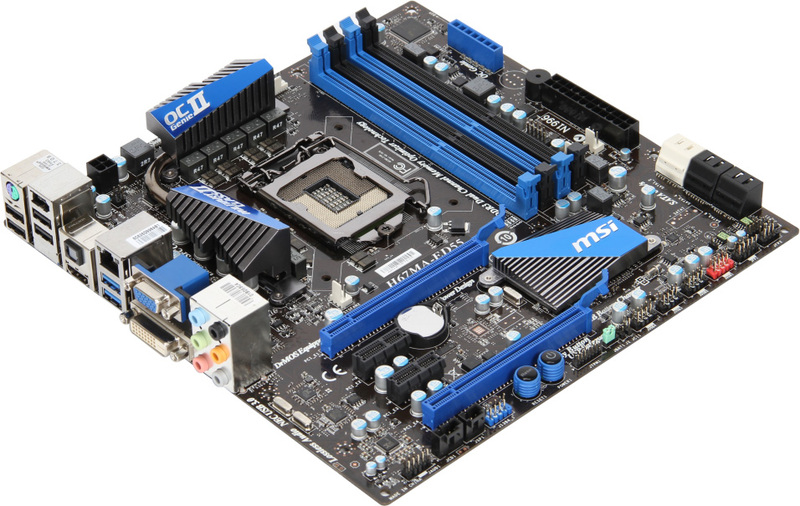 MSI Reveals Three New LGA1155 Motherboards. The first wave of motherboards based on Intel’s Sandy Bridge Architecture have been revealed by MSI. 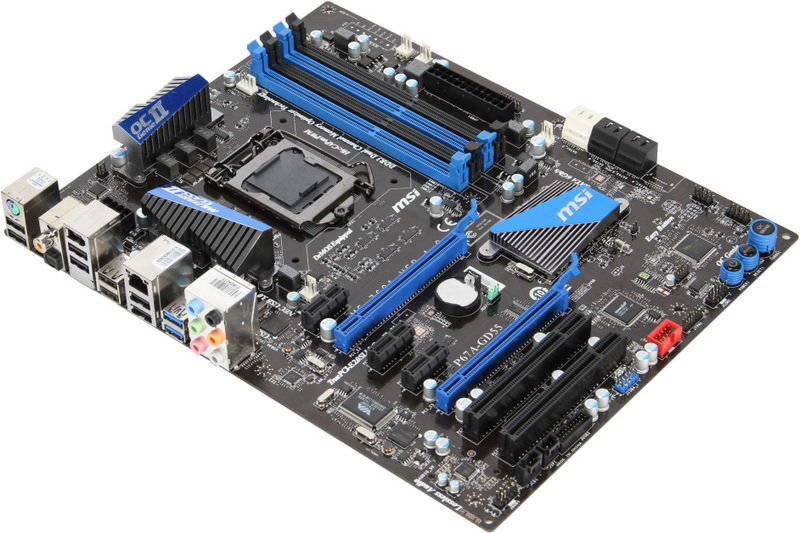 The boards will feature the LGA 1155 Socket and will hold th upcoming Sandy bridge Processors from Intel. The three new motherboards revealed are P67A-GD65, P67A-GD55, H67MA-ED55. All three motherboards will come with High Class Components which will include solid chokes, high-C capacitors, and OC Genie II which will help improve overclocking. The P67A-GD65 belongs to the performance segment and comes with two PCI-Express 2.0 x16, three PCI-E x1, and two PCI slots. The board is based on the P67 PCH chip which provides six SATA 3 Gb/s, ports, two SATA 6 Gb/s ports provided by a Marvell-made controller, and two additional SATA 3 Gb/s ports by a third-party controller; two USB 3.0 ports, 8-channel HD audio, FireWire, and gigabit Ethernet. The motherboard also includes overclock friendly features such as voltage measure points, OC Genie controls and the heatsink at the VRM phase also include heatpipe two dissipate heat effectively. The P67A-GD55 belongs to the mid range segment and is basically a cut down version of the P67A-GD65, It includes lesser features such as two less SATA 3 Gb/s ports from addon controllers, no eSATA, the voltage measure points lack that nifty socket (yet they’re there, and labeled), and the two VRM heatsinks aren’t connected to each other through heatpipe. 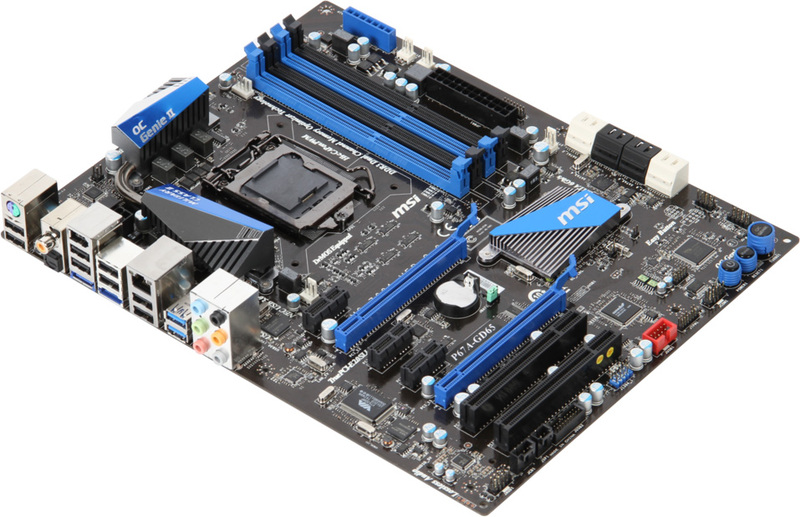 While the H67MA-ED55 is a entry level board and has a Micro-ATX design. The board is based on the H67 chip which means it supports Intel integrated graphics. Display connectivity includes DVI, D-Sub, and HDMI while other features include four SATA 3 Gb/s and two SATA 6 Gb/s, two PCI-Express x16 slots, two PCI-E x1, USB 3.0 ports, FireWire, and a number of USB 2.0 ports. The pricing of these motherboards will be announced when Intel’s Sandy Bridge Processors are launched.